We use high gloss paints to bounce light off of furniture, give it a pretty finish, and to make things around our house look brand new. Why not use it on the walls? 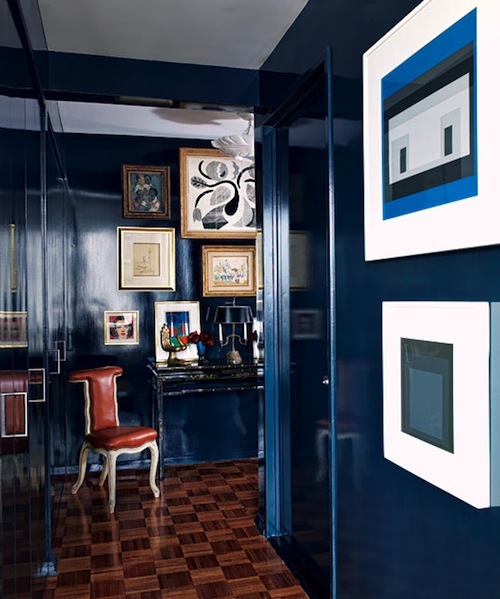 These blue walls are are striking and stunning, and the high gloss adds a truly "polished" feel. Miles Redd can do no wrong. 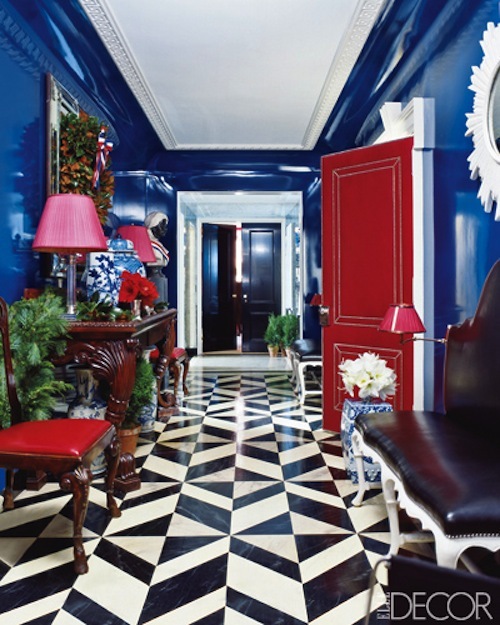 The walls are a perfect shade paired with the red and fun floors! 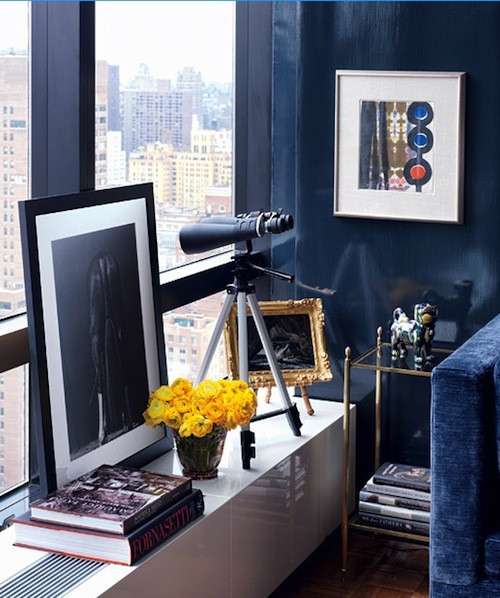 This apartment just beckons you in. 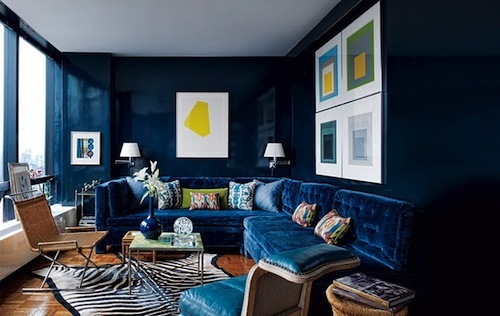 The buttery velvet sofa, classical touches, and subtle pops of color are beautiful. Divine! Those high gloss blue walls are so seductive! I would love to paint one of my rooms a high gloss blue! 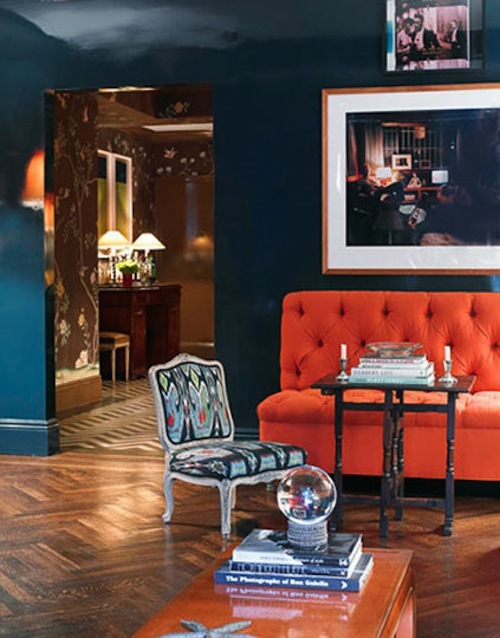 Fabulous rooms! I stop in my tracks every time I see that last image. Chic and sophisticated! I'm a new high gloss blue fan.